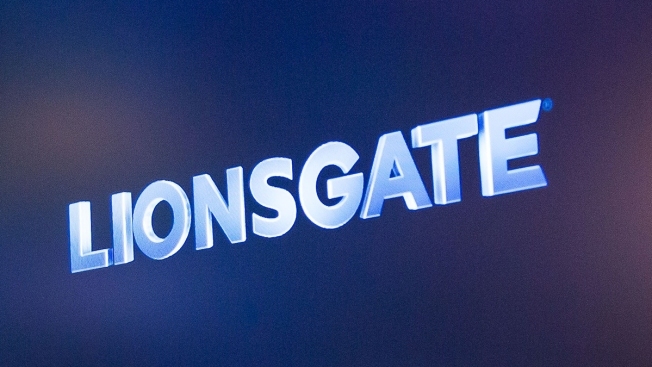 This May 25, 2018, photo shows the Lionsgate Entertainment signage on the floor of the New York Stock Exchange. A former lawyer at the studio behind "The Hunger Games" and "Twilight" movies said a powerful boss she once viewed as a father figure demanded she be his slave and subjected her to nonconsensual sexual contact. She said she stayed quiet about it for years because she feared losing her job and never working in entertainment again. Her lawyers complained that those tactics constituted a violation of a settlement agreement that kept a lid on the reasons for her exit. The harassment started in 2001, and the physical assaults started about a year later, she said. One day, while he was out of the office, she said he asked her to poke around his desk for some paperwork, but all she found was a briefcase full of Polaroid photographs of naked women in various sexual positions. "That was when I first started to think that this was going in the wrong direction and had just taken a huge leap forward in the wrong direction," Jaffe said. Jaffe said Levin's alleged behavior led to rumors around the Lionsgate office that they were having an affair, which led to bullying from her colleagues. When the sexual abuse stopped in 2003, Jaffe said, Levin exerted his power and control over her in other ways like loading her up with so much work it escalated her blood pressure to the point of cardiac distress.